Zucchini has always been a vegetable I have always wanted to try. Problem was, I had no idea how to cook or prepare it, so I never tried it! For some reason, I assumed zucchini was hard to make and I was 100% wrong. One of my co-workers said to just add butter or vegetable oil in a skillet and saute it. Really, that easy? So next grocery trip, I picked up one green and yellow zucchini. 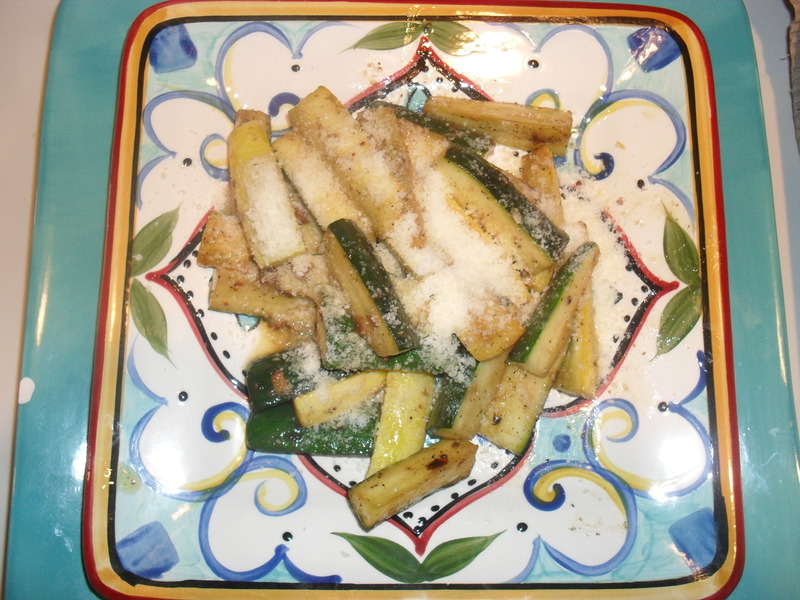 Once I got home, I cut both zucchini's into slices and added vegetable oil to a skillet. I used the vegetable oil over butter because I opted for the healthier choice. Seeing how easy this really was, I chopped one clove of garlic, added a pinch of red pepper flakes and also salt and pepper to taste. I sauteed them on medium-high heat until golden brown. I then let cool and tried my first ever piece of zucchini. Wow, it was delicious. So flavorful! Soon enough, the zucchini was devoured. It is now an item on the grocery list every week. I am so happy I have discovered this healthy vegetable. Thank you zucchini for making my meals complete!